"...The story of the death of King Arthur and its references to a wasteland may have been inspired by the apocalyptic effects of a giant comet bombarding the Earth in AD540, leading to the Dark Ages, a British scientist said yesterday. The impacts filled the atmosphere with dust and debris; a long winter began. Crops failed, and there was famine, Dr Mike Baillie of Queen's University, Belfast, told the British Association for the Advancement of Science. There was now overwhelming evidence from studies of tree rings of a catastrophic climate change at that time, he said. Dr Baillie, who is based at the university's school of archaeology and palaeoecology, said studies of Irish oaks showed that the climate suddenly became inhospitable around AD540. Other researchers had discovered the same narrow rings on trees in places such as Germany, Scandinavia, Siberia, North America and China. "For all these trees to show the same rings at the same time means it must have been a profoundly unpleasant event, a catastrophic environmental downturn, in AD540, which is in or at the beginning of the Dark Ages." The tightly bound rings are consistent with fierce frosts that would have devastated agriculture and made a malnourished population more vulnerable to the plague of 542, which killed millions. Plague-carrying rats and pests would have been looking for sustenance, thus hastening the spread of the disease. Dr Baillie said that there were several theories as to the explanation. One was that a vast volcano had erupted and pumped huge amounts of dust into the atmosphere. Yet such a volcano "would have been out of all proportion to ones we see in recent times", he said, adding that the geological records bore no trace of it. The other theory, he said,was that huge fragments from a giant comet had hit the Earth, causing violent explosions and a dramatic cooling of the planet. "My view is that we had a cometary bombardment - not a full-blown comet, or we would not be here, but parts of a comet." Dr Baillie said the hypothesis was supported by studies by astronomers and astrophysicists including Mark Bailey, of the Armagh Observatory, Victor Clube, of Oxford University, and Bill Napier, formerly of the Royal Observatory in Edinburgh. 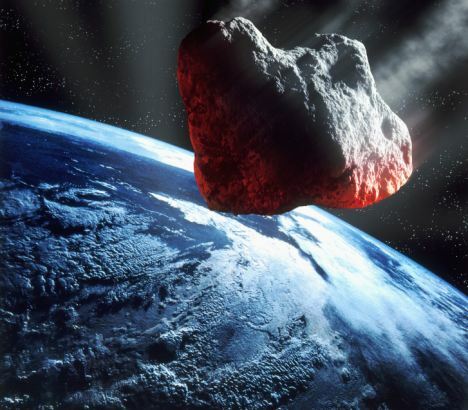 They had calculated that there was a strong likelihood that the Earth suffered a cometary bombardment between 400 and 600, based on records of high meteor shower activity. They had linked it with the break-up of the comet Biela. It was hoped that scientists in Greenland would analyse ice cores for signs of cometary dust. They were soon to carry out chemical analysis for tree rings for similar clues. Dr Baillie urged historians to examine the records for writings that may record the events. "You can read about the Justinian plague in conventional history books but you cannot read about the cometary bombardment. The trees single out an episode which can be best described as catastrophic, and it isn't there in written history." There was, however, some support buried in mythological writings and other works. Roger of Wendover had referred in 540 or 541 to a "comet in Gaul so vast that the whole sky seemed on fire. In the same year there dropped real blood from the clouds . . . and a dreadful mortality ensued". Dr Baillie also cited the death of King Arthur, which is dated to 537, 539 and 542 in various works, as establishing possible links with fire from the sky and destruction. Dr Baillie said that Arthur was linked in old Irish with CuChulainn, the sky god, who in turn was linked with the Celtic bright sky god Lugh variously described as "bright as the setting sun, comes up in the west, and of the mighty blows". "The Arthurian stories with their Celtic antecedents of bright sky gods and 'wasteland' come with traditional dates for Arthur's death." Dr Baillie said that the myths hinted strongly at a bombardment as the causes of an environmental downturn." The scientists link the death of Arthur in about 539 with this bombardment and the creating of wastelands in the British Isles and America. Reading the ancient legends one soon realises that they claim that King Arthur ruled an immense British Empire as a High King or Emperor whom Nennius calls the Guletic (from the Jewish Rosh Galuta). This empire included the Americas. Arthur dies (or is wounded) in a battle with his son Amr (Amorai/ Amwlad/ Morgan)who became known as Mordred in the Arthurian tales and legends. 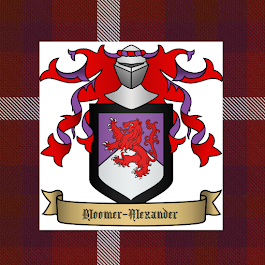 High-King Arthur (Arthur Mor) belonged to the Davidic House and was the son of Huna Mar (called Chunan Meriadoc in Brittany/ Mar Ahunai in Babylon/ Cunomor or Mark in Cornwall/ Mar in the Pennines). This Jewish Catholic Royal Davidic Dynasty was descended from Joseph of Arimathea and the Babylonian Exilarchs. Huna Mar's father was the British High King Theodoric (Tudwal) who was known as Nathan Todros as the Jewish Catholic Exilarch or Judiarch of the Gewisse (Jews)of Cornwall and Somerset. When Huna Mar was a boy he was sent by his father to the great Jewish Catholic Academy in Persia(Sarras) at Takhte Sulieman -the Throne of Solomon- in the Zagos Mountains. When Mar Zutra II the Babylonian Exilarch rose up against his Persian masters and established an autonomous Jewish Kingdom based on the city of Mahoza around 495- 500 AD Huna Mar allied himself with Mar Zutra and married Mar Zutra's daughter Abiane. After their marriage Huna visited his father in Britain and Arthur (Mar Dov) was born at Tintagel in Cornwall in his grandfather's fortress. His grandfather later retired as High-King and settled in the woods near Tintagel to focus on Eucharistic Adoration (a Grail chapel)and was known as St Nectan. Arthur's brothers were Kafnai, Gideon and Solomon. Kafnai was also known as Custennin or Constantine in Britain. Gideon was known as Gadeon, Gradlon and Gabhran. Huna Mar and Abiane and their children returned to the East to assist Mar Zutra in the defence of the Jewish kingdom of Mahoza (somehwere between 502-508). The Persians defeated the Jewish forces and executed him on the Mahoza bridge. Huna and his family returned to Takhte Suleiman where he left his children and wife while he returned to Britain to become High King of Britian and Brittany. Around 550 Constantine abdicated and moved to Babylon with his son Tristam (Drust) and Arthur's young grandson Ithiel Hayyim and as the Exilarch Kafnai he reestablished the Babylonian Exilarchy. When the Persian King began a policy of exterminating the seed of David, Ithiel and some of the Davidic family fled via Takhte Suleiman and Armenia to the Frankish Empire. Galahad (son of Lancelot) had become the Jewish Catholic Exilarch (rosh galuta)of Takhte Suleiman (Sarras) after the death of Arthur. 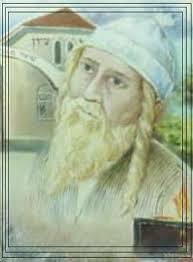 His son Omer (Aumer/ Amr)ha Ari fled with his relatives taking the Holy Grail Platter with him to Frankish Germany. Ithiel and his son Adal (Adoi/ Adalric/ Athelric) became the leaders of a German Saxon tribe and went with them to Bernicia in Britian. Ithiel is remembered in the history of Bernicia as King Ida and his son Adal as King Athelric. 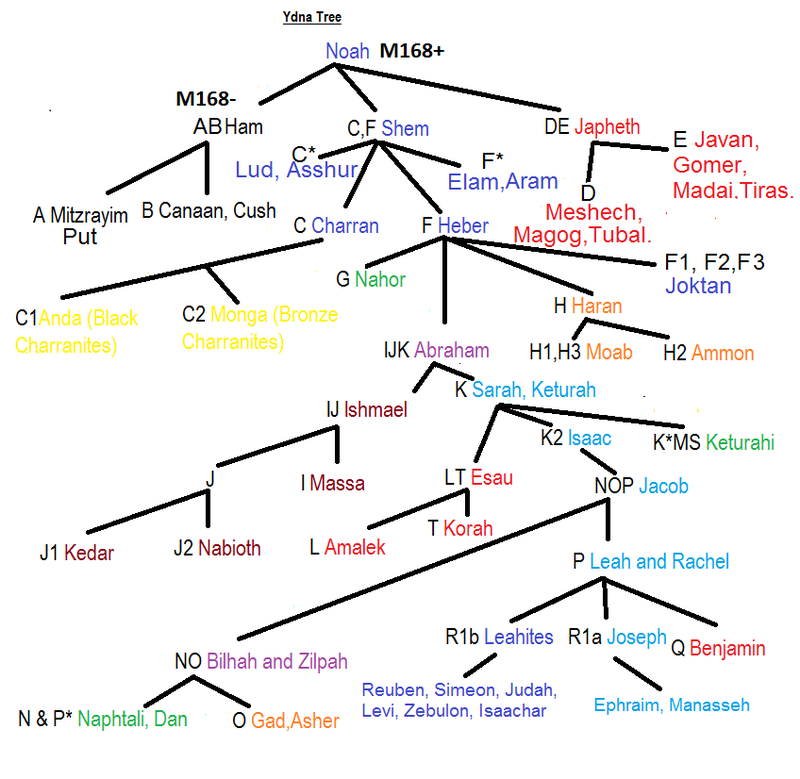 Through the intermarriage of these families descended from Arthur and Lancelot was to come the Jewish Catholic dynasty of the Carolingian kings. Lancelot after 539 was known as St Brychan or Brychan the Patriarch. Arthur's brother Gideon was the King of Brittany and later known as Gabhran king of Dal Riata. Gabhran married Luan or Lluan the daughter of Lancelot of Brychan (St Brychan) and Igenach (Elaine of Scots/ Ascolat). Gabhran was to become the High King after 550 when his brother Constantine (Kafnai) abdicated and became the Jewish Exilarch in Babylon. It would seem that Constantine had been reared as an unbaptised Jew by his Jewish mother Abiane. Arthur's son Amr had also been raised in the East by his grandmother as an unbaptised Jew as were his sons and grandsons. It was through intermarriage with the family of Lancelot that the Jewish Catholic traditions were retained in the Exilarchic families. Gabhran's son Aedan (Aed/ Ad)was the father of Arthur of Dal Riata who was made the underking of Gwent under the overlordship of his father Aedan. This second king Arthur was a great grandson of the first King Arthur. Arthur of Dal Riata and Gwent's mother Igraine was a daughter of Amr (Amwlad) the son of the High King Arthur. Some sources state that Amwlad is a descendant of Cadfan who is also called Gideon. This of course refers to Gabhran (Gideon) who is the uncle and possible foster father of Amwlad (Amr/Amhar). "Cadrod's kingdom of Calchfynedd is one of the most mysterious of Early British Kingdoms. The name, literally, means "Chalk-Mountains" or, more generally, "Limestone Hills". W.F. Skene argued, not unconvincingly, that this referred to the Kelso area of Southern Scotland. Yet ancient Welsh poetry clearly indicates that it was south of Powys...". However the hills south of Tucson Arizona are Limestone Hills. The Tucson artifacts of Rhoda and Calalus were also found buried under limestone caliche. As the counts of Toulouse the two Guillame de Gellone's where also associated with the name Torson (Chorso) or Tolosan and Tucson in Arizona was originally named in honour of these counts of Toulouse. It is also interesting that the Welsh genealogies also mention a Cadrod who is the son of Guriad who I identify with Israel I Guriad King of Calalus (son of Theodoric II Nehemiah King of Septimania and the Theodorus of the Calalus artifacts). 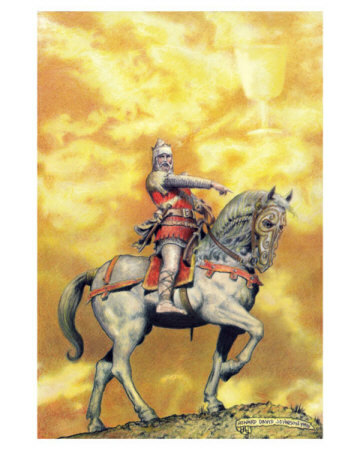 King Cadrod of Calchfynydd (Calalus) returned to Britian with forces from America to lead the Britons against Cuthwulf the King of Wessex in the battle of Bedford in 571. It would seem that the older names for America was the Isles of Barzel (Brasil) and Atala and later Rhoda, Manau or Mananaan, Amrica, Calalus and Calchfynydd. Amr comes from the title Amir or Mar and Amr's Hebrew name was Noach (Noah)which became Nowy in Welsh. He is also called Nowy Hen (Noah the Graceful). Mar Noah's daughter the Lady Sanan married her cousin Guilog the son of Beli or Cunobelin King of Calalus. Amr Noah may have been the first Arthurian Ruler of America and the name America may have been named for him. Amr or Amir meaning Ruler or Prince of the Davidic House and the Frankish Ric also meaning Ruler. It was a play on his Babylonian name of Mar Amorai. He was an ancestor of the later Machir King of Septimania whose Babylonian name was also Amorai. The American Indians also used the name Amerika which meant in their language a Mountain Wilderness. Calalus may come from the latinisation of the Hebrew word chalal which means void or wilderness. The Welsh name for Calalus is Calchfydydd or Calchmynydd meaning the lime mountains. The Welsh word for lime (Calch) may have originated from Calalus-the Lime(stone) Land. The name Calalus or Chalal (void or empty/wastelands) may have been used after the cataclysmic events of the comet in 539-40 AD. Kelso (Calchheu) in Scotland seems to be named after Calalus. The descendants of Cadrod ruled Calalus until the time of Elidyr of Mananaan (America) who was the son of the last Arthurian king of Calalus descended from Llywarch Calchfynydd the son of Cadrod. One area of Mananaan or Manau settlement may have been in the area of Georgia and Alabama in the American Arthurian Empire. On the Calalusian retreat from Rhoda (which had been overrun by Natives) they stopped or settled for a time in this area where Elidyr was born. Theodoric II Nehemiah of Septimania married Urenkelin (Kelinion/ Celenion) of the Radbads (Jewish Rhodans of the Rhone Valley)whose father Enkel was Jewish Ruler of the Rhodans of the Rhone Valley. Enkel of the Radbads was a grandson of Elidyr of Rhodan Mananaan. Elidyr the Rhodan was also known as Radbad I of Frisia. Eadgils is mention as the father of Radbad but this may just be another name for Radbad (Elidyr/Eadgils)or it may have been a name for his father Sannde. It would seem that this Jewish dynasty had embraced paganism at some stage due to an intermarriage with a Prince descended from the pagan King Eadgils of Sweden. The Rhodans that left America with Sannde and Elidyr settled in Frisia and became known as the Frisians in the latter half of the 7th century. They were known for their long blonde hair and were also associated with some as the Fairies or Fay (descendants of Morgan Le Fay) who are also described as having long blonde hair. These fairies were known to be taller than ordinary humans (Europeans) rather than smaller as fairies are thought of in recent centuries. The Land of the Fairies was known as the Hidden Kingdom as its location was considered a great secret to both the Romans and the later High Kings of Britain due to its wealth in metals. It would seem that these Blonde-haired natives of America (R1b-U106) represent a different group to the Red haired or bearded Americans of Calalus (R1b-U152). The tall blonde haired pagan natives of America may have been settled in America in the time of King Arthur as part of a Scandinavian contingent. Geoffrey of Monmouth relates that Scandinavia was part of the Arthurian British Empire. It would seem that this tribe was firstly in Germany near the Angles in the 5th century and were known as the Myrging and were ruled over by Eadgils (Athils). This tribe seems to have moved North to Sweden after being defeated by the Angles. From there they moved into America a second time. It is of course possible that they may have been part of the Scandinavian attack on Britain after the collapse of the Arthurian Empire. It would seem in this scenario that the Rhodans defeated the Myrgings in America and they accepted the overlordship of Cadrod (Elidyr)the Jewish Arthurian Davidic King of Rhoda. It would seem that Cadrod married his daughter Morgana le Fay to Llywarch Hen Calchfynydd son of Eadgils (Athils) of Sweden a leader of the Myrgings. It would seem that before they were in Germany they may have come to Germany via Ireland and America and have originally been called the Tuatha De Danaan or fairyfolk. In the mid 3rd Century Prince Mananaan the son of the Scottish Rosh Galuta King Rafael V Loir (Lear/Lir) mediated between the Milesian Irish and the Tuatha de Danaan in the far Western Lands of America. The Tuatha de Danaan had a strong Matriarchal society descended from the priestesses of Dinah (Dana/ Diana)who were linked with the Formonians who were the Israelite -Egyptian descendants of Joseph who had escaped Egypt with the last King descended from Manesseh -Mentuhotep IV. They seem to have settled in Central America. Recent archeological discoveries in Peru have revealed that a tall blonde headed people ruled in the Andes before being conquerored by the Incas in 1475. 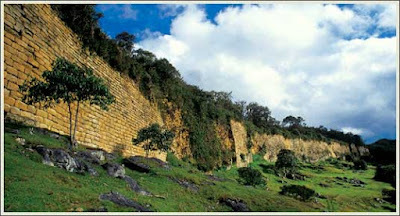 They were called the Cloud People (or Warriors of the Cloud) or the Chachapoyas. They are dated back to the 9th century and may have been a Colony of the Jewish Kingdom of Calalus. That the language of this region is called Aymara would seem to confirm the link with Rhodan Calalus. It would seem that the tall white long haired Warriors came from the legendary Atullia (Antillia/ Atala) which had 7 famous cities which were known to the Spanish as Cibola. The name of Atala later developed into Eadgils and Atala became a the title for King. This is the origin of the Anglo-Saxon Athel or Ethel. The Angles took this title from their inter-reaction with the Myrgings tribe. In third century Ireland was the King of the Tuatha de Danaan called Ethal Anubal. Anu was also a name for Mexico and bal comes from Baal. His name meaning King Master of Mexico. There may have been major geological changes in Mexico's recent past and the famous Antillia Isle may have been Mexico in which the Northern and Southern limits had water channels wide enough for ships to sail round. The Northern channel may have been where today there are two separate rivers -the Colarado and the Rio Grande. The southern limit would be where Panama is today. Geologist tell us of a sea way between North and South America where Panama is today except they date it according to an evolutionary scheme as three million years ago whereas I would date it to about a 900-1000 years ago. The Portuguese legend of Antillia was a memory of the expedition of Theodoric II Nehemiah's son Isaac Kalonymus (St William)and his two Jewish Catholic brothers (who were Bishops) in 800 AD to Calalus and the conversion of the colony to a form of Jewish Catholicism. The legend that seven Bishops of Porto Cale led an expedition to Antilla became confused with the Frankish Jewish Christian Bishops under St William of Gellone going to Calalus with 700 Jewish soldiers. The name of Portugal derives from the name of Porto Cale which is why Antillia was also called the other Portugal. It is possible that Porto Cale was indeed named after Calalus by the Romans as it was the Port from which the Jewish Swan ships of Solomon departed for Calalus. It would seem that Calais in France was also named by the Romans as Caletum as another Port that was involved in the trade with Calalus which the Radhanites (Rhodans)used. "...Inca chronicles and legends persist that the Cloud People were tall fair (skin and hair) warriors. This is reinforced by an unusually large proportion of blond, fair natives in this zone who know of no European ancestry. 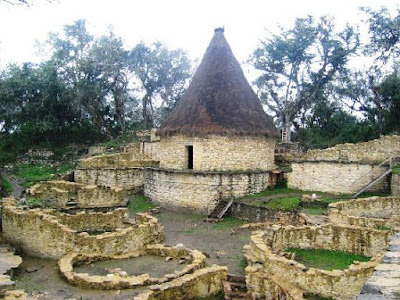 However Julio C. Tello and anthropologists speculate the Chachapoyans may have been a jungle culture that migrated there through the Magdalena Valley of Columbia, and preferred the mountaintops. Whatever case, the Cloud People don’t fit the pattern of other Andeans. They lived behind walls in well crafted stone round houses with a pointed thatch “tepee” roof. One would suspect they farmed better land below the cloud forest, which wasn’t leached out and eroded, but lived on the peaks..."
"...Kuelap lies 9,843 feet above sea level (3,000 masl), 3 miles (5 km) from the town of Tingo, and one hour by land from Chachapoyas. The climb is a 3 or 4-hour hike, or it can be done on horseback. The structure of the main building is circular and for security purposes has only one access corridor, sufficiently narrow to allow only one person at a time to enter. Inside there are several divisions, hundreds of round stone houses decorated with zigzag patterns, small up to 1,969 feet (600 m)long and 66 feet (20m) high. Towers indicate how well protected the compound was. It comprised more than 400 buildings, many of them with decorated walls and cornices or protruding friezes....". These roundhouses look very similar to the Gaelic roundhouses of Ireland and Britain. The Teepee design of the roof suggests that the Chachapoyas came from North America. They may have moved due to their defeat by Theodoric and his Warriors in 775 AD from the Limestone Mountain Kingdom of Rhoda in Arizona to the Andes. One group became subject to the overlordship of the new Jewish rulers of Calalus and Rhoda, while another large group fled South. David Mandich writes of these stone round houses in the Lost canyons of North Western Mexico. "... Mexico's Copper Canyon could be...Located in northwestern Mexico comprising over 125,000 square miles of lost canyons, lost mines, lost Indian tribes and a lost Cathedral, its sheer size and complexity defies description...Lost in the canyons, are archaeological ruins of civilizations that experts still disagree as to who they were and what happened to them. Ancient Indian cultures built cities beneath inaccessible cliffs, others round houses of stone..."
"...Finally we have the Calalus settlement. In 1924 a collection of lead tablets was found near Tucson Arizona. “The crude plates told of a band of Hebrew refugees who fled Charlemagne’s Frankish Christian Regime and sailed across the Atlantic to a land known as Calalus. Found together with these plates were “ceremonial standards engraved with menorah and Hebrew tags like shalom, qaddash, elohim, goi gadol.” Calalus was founded in 775 C.E. when the colony’s first leader Theodore wrested the capital Rhoda from the native ‘Toltec’. A recent discovery off the coast of Haifa gives a possible vessel for the transatlantic crossing. Dr. Elisha Linder discovered the wreck of an ocean worthy craft and reports that a “flotilla of such merchantmen [(ships)] would have been available to Theodore and his colonists setting forth from Rome in 775.” Calalus went on to record a long and tumultuous history of wars, near defeats, and eventual total defeat around 900 CE. During its history there were many interactions between Calalus and Narbonne, a Carolingnian state (modern day France) where Jews enjoyed self-governance. It was in Narbonne that the Kabala was created from its well respected Yeshiva..."
It is interesting to note that in the area of Tucson in this time period was part of the ancient civilisation called the Hohokam which were closely connected with the Mogollon and Anasazi. The Hohokam ruins of Casa Grande show an advanced culture of canal builders that irrigated the desert areas. We know that Calalus had different cultural groups such as the British group and the Latin (Frankish group) as well as the Mananaan. 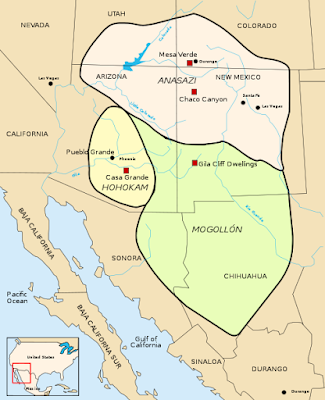 The Mananaan would seem to be associated with the Mogollon culture and the Copper Valley (Barranca del Cobre)of Chihuahua is in the region of the Mogollon. From North West Mexico they may have travelled through Central America to the Magdalena Valley in Columbia before settling in Peru. Also in Peru are found the red haired white people of the Paracas and Nazca cultures of Peru. Numerous mummies with red hair and Caucasian features have been found in the tombs of the upper classes of these cultures. It is possible that Mentuhotep first settled in South America rather than Central Mexico. It would seem certain legends tell of the conflict between the white tall blonde and bearded men and the red haired men. The blonde descendants of the tribe of Zebulon and the red-haired descendants of Manesseh separated into separate settlements. The sons of Manesseh lived in the lowlands and the sons of Zebulon took to the mountains. while it is tempting to see the name Manesseh in Mannaan, Manaan is a later name connected to the term Manna. One part of these blonde Zebulonites moved back to Europe in the 1st century BC settling for a time in Frisia. These Zebulonites may have had colonies on the lands south of Cornwall (Lyonesse) and north of Ireland (possibly Lochlainn/ Lothlind) which sunk into the Sea around 535-540 AD. King Lot of Arthurian fame belonged to this Zebulonite line of Kings. The Irish tales also associate the Wastelands with King Art the son of King Conn of the Hundred Battles who has adventures in a land associated with the sea God Mananaan to the far West of Ireland. It would seem that already in the 2nd-3rd centuries that the Irish were connected to Rhoda and the American Mananaan. King Art of Ireland was an ancestor of the later High-King Arthur. Art was known as the Red or Rhodan Hebrew Lord as was his father Conn Chober. Connchober (also known as Conn of the Hundred Battles) was the son of Nissya (Nessa) Fedhilim (Princess Fedlim)and King Fachtna Fathach of the Rhodans. The Irish tales speak of many battles between the Tuatha de Danaan and the Milesian Irish. It is interesting that these tales associate the Tuatha with appearing out of cloud and mist which may explain why the Inca's called the Chachapoyas the Cloud Warriors. They seemed to possess a cloud or mist making technology which terrified the other peoples. The accounts also link the Tuatha de Danaan with a country called Lochlainn which is believed by some to be Denmark others Norway. However it may have been a place in the Americas. Lochlainn may mean "Warriors of the Lake (or Sea Inlet)". The Swan Ships of the Exilarch Solomon traded with the ancestors of the Tuatha de Danaan (the Mananaan) in America. 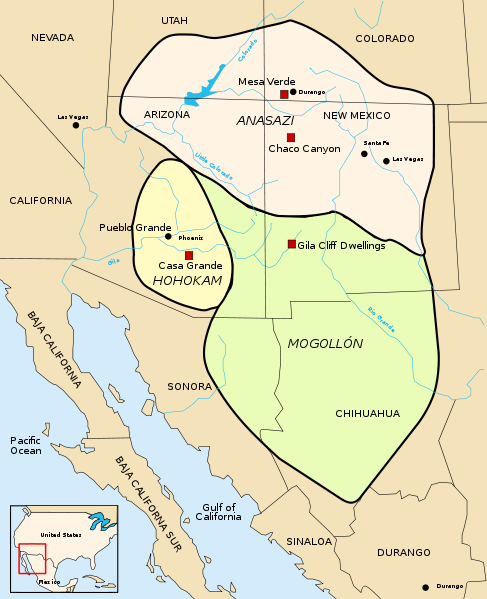 The Rhodan (Radhanites) under their Davidic Kings established a mining colony in Arizona around the first century BC and were allied with the Mananaan or Manau of America. 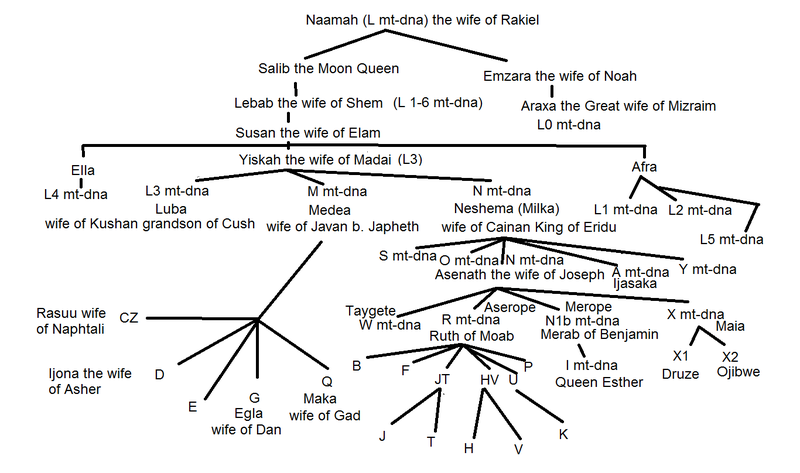 As mentioned above they seem to be descendants of the Tribe of Manasseh lead by the priestesses of Dinah (Danu)who fled with King Manu (King Menuhotep IV/ Manesseh)from Egypt in the 17th century BC for America on the ships of Zebulon. The legendary Inca King Manu or Manco for whom the first Inca King was named would seem to be Mentuhotep. It would also seem that the Rhodan's settled some of the Tuatha in Lochlainn in four cities but at some stage in the 2nd century they had a falling out and the Tuatha departed for Scotland and then attacked Ireland. They eventually left Ireland for Germany where they lived near the Angles. Some of them became assimilated with the Angles and others left for Sweden. The white tribe of Indians in America called the Mandan retain both the Man of Mananaan and the Dan of Danaan. The Mandan have been linked with the Welsh Prince Madog /Madoc. While we know he was a descendant of people from Calalus and he returned to America to Alabama and Georgia, we do not know if the Mandan are the descendants of these Welsh settlers. It is more likely that the white Mandan were a remnant of the Mananaan or Tuatha de Danaan who had been in the Americas since the 17th century BC. Many people believe that we are living in a similar period of time in which a comet will appear and the earth will be bombarded by fire from heaven. These events in the 6th century came at the end of an American-British Empire which seems to parallel our present decline of the British-American world financial empire. British legend tells us that when Britain is in her greatest need King Arthur would return to aid her. Many believe this means a descendant of King Arthur will arise to deliver Britain which is why a Royal custom (started in the Tudor dynasty) that one member of the Royal family should have the name Arthur in each generation. In the present generations the Prince of Wales is Charles Arthur Phillip George and the Duke of Cambridge is William Arthur Phillip Louis. The Queen's father George VI also had Arthur as one of his names (Albert Frederick Arthur George). Queen Victoria also had a son called Prince Arthur and Henry VIII's older brother was Arthur Prince of Wales. The name Arthur means Bear which is Dov in Hebrew. Arthur is associated with the constellation called the Big Bear (Ursus Major) which was later called King Arthur's Chariot and the home or dwelling place of King Arthur. The Irish refer to it as King David's Chariot. The French referred to it as the Great Chariot. The American Indians also refer to this constellation as the Great Bear (Okuri). 4. Lady Morgana le Fay married Llywarch Hen Calchfynydd (Llywarch the Graceful)King of Calalus (b.560) son of Eadgils King of Mrygings in Sweden. Note: I have become aware of certain books that speak about King Arthur, America and the Comet. I have at this time not read these books but only read about them on the internet. My writings do not draw on them at all and from what I have read I certainly do not agree with the agenda of these writers especially in their anti-catholic and anti-royalist viewpoints. My writings are based on my own studies and reconstruction of the genealogies which have become somewhat confused and muddled over the centuries. I accept the dating of the scientists who believe that the comet bombarded or passed the earth around 535 - 540 AD not 562 AD as mentioned by these other authors. Any books or writings that claim that Jesus or Mary Magdalene were married or had children I consider to be highly offensive and blasphemous to all orthodox Christians.